At tecmagex.com we value our customers loyalty. That's why we created the tecmagex.com CLUB Card. But we're not going to ask you to join any expensive monthly payment plan. All you need to do is create an account. 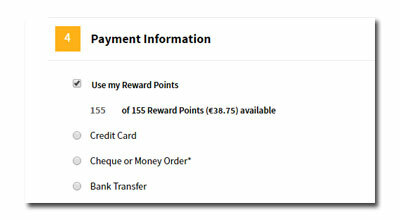 In fact, we even give you some CLUB Card Reward Points straight after you've done that! Because EVERY customer is important for us. Large or Small. To create an account simply click on 'My Account' right up at the top, and follow the steps. Here's how to earn CLUB Card Reward Points which can be redeemed on future purchases. And we're saving the best till last... for every 10€ spent, your CLUB Card will be automatically credited with 1 CLUB Points. That works out at roughly a 2.5% discount on each order! Click on 'CLUB Card' in your account (My Account up at the top). From here you can view your current balance, recent transactions, invite Friends, and redeem CLUB Card coupons. CLUB Card Reward points are non contractual. 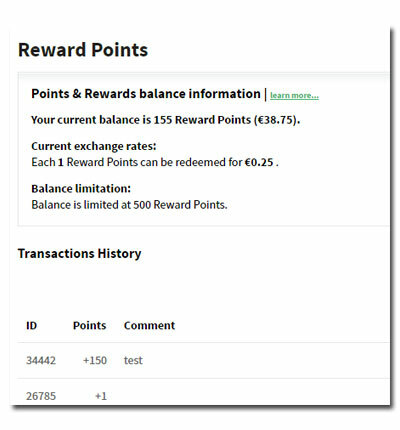 Tecmagex.com (Magetec SAS) reserves the right to change CLUB Card Reward Point earn and redeem levels, and conversion rate without prior notice.